Long before a cosplay catgirl was seen in Japan or the first Neko set paw in Second Life, we humans have been drawn to all things feline. 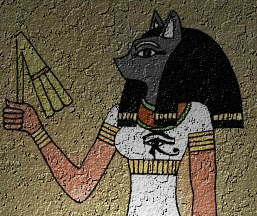 Perhaps the earliest known record of this is the Egyptian cat goddess Bastet, dating as early as 3,500 BC. No matter how she was called — Bast, Baast, Bastet, Ubasti, or even Ailuros in Greek mythology — this half cat, half woman goddess represented all things feminine, pleasurable, beautiful, independent and sensual. Every night she underwent a transformation: leaving behind her semi-human form, Bastet would change into a cat, all the better to guard her sun god father Ra with her powerful all-seeing sacred eye, the “utchat” that could see in the dark. Half woman, half cat, beautiful independence, magical transformations… it’s a theme that’s been consistent for thousands of years… all the way up to recent stories like The Nine Lives of Chloe King by Liz Braswell, which has its own TV series as well as a game in the U.S. Imagine walking into a three thousand year old room where every wall, ceiling and pillar is as perfect and richly hued as the day it was finished. 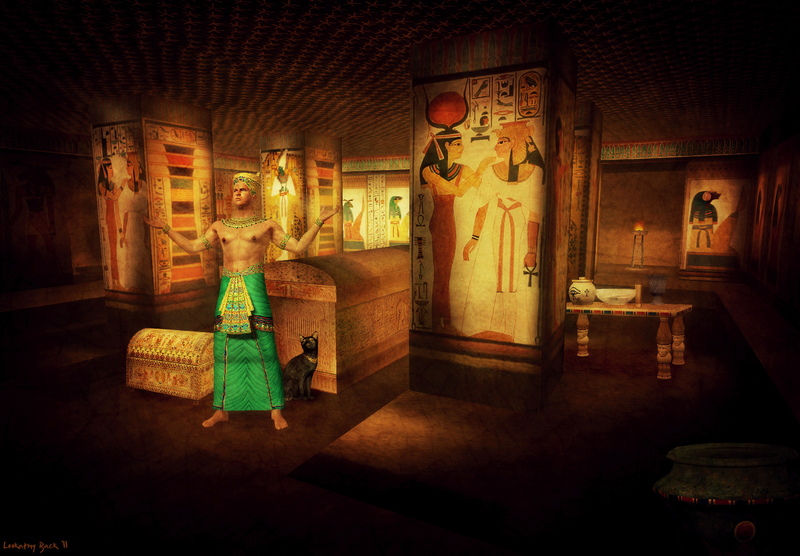 Such is the genius behind the magnificent “Nefertari’s Tomb” on Second Life’s Museum Island, built by a very talented avatar named Carlolello Zapatero. Not only did Carlo gain rare permission to enter and photograph the actual tomb, but he used these photos as a guide in creating original watercolors of its walls and details, each image carefully drawn, repainted, and “restored” by his own hands to create the textures he used to build the virtual tomb. And that’s what makes this 3D build such an exceptional treat: there is no other way to see this tomb, and no better way to experience its original grandeur since the moment its doors were sealed, thousands of years ago. Nefertari’s Tomb is just one of many virtually restored treasures on Museum Island. Others include Petra, Babylonia, the ruins of an ancient Roman temple, the Hanging Gardens, a fully restored Pompeiian house, and more — each one its own inspirational 3D experience perfectly crafted for exploring and education. 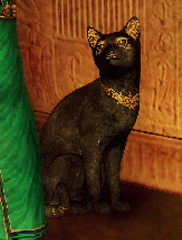 So How Do the Stories of Nefertiti and Bast Overlap? Bastet’s nearly two thousand year reign came to an abrupt end when the lovely Nefertiti married the great King Akhenaten. Shortly after their wedding, religious revolution ensued. Akhenaten decreed that Egypt would worship only one god instead of all the lesser gods and goddesses. The new supreme being? Bastet’s own father, the sun god Ra. 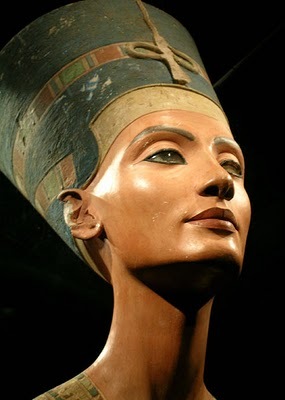 Scholars have long debated what led Akhenaten to instigate such a radical shift, and whether the impetus was due to Nefertiti. Whether it’s an ode to the transience of beauty or a testimony to the power of all things cat, Bastet’s oblivion was short lived. 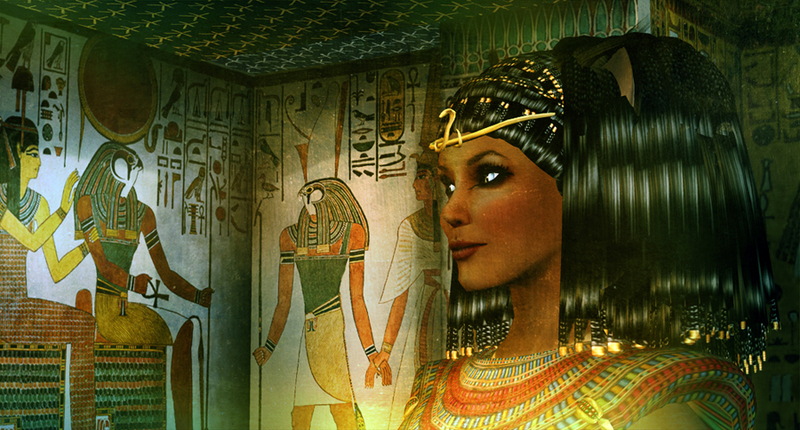 A mere seventeen years later, both Akhenaten and his breathtaking wife Nefertiti were no more. In the end, it seems the cat goddess had the last word. 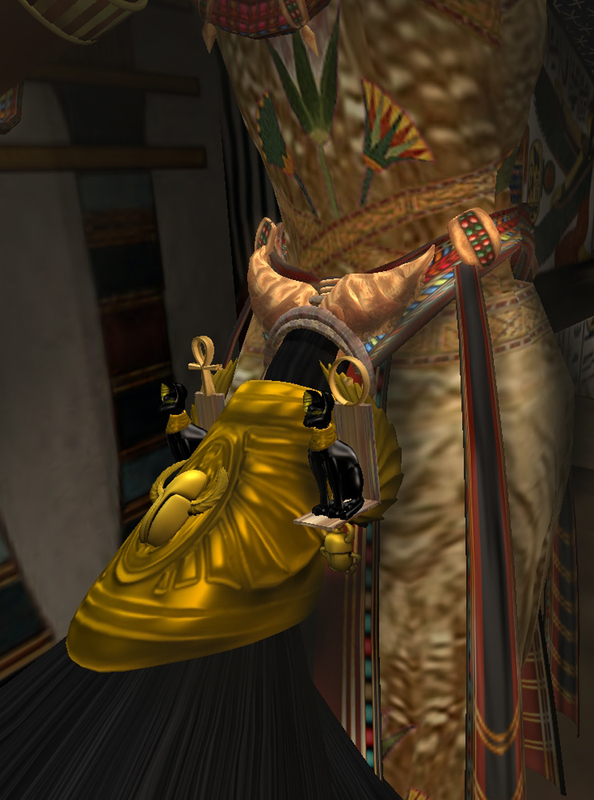 Sincere thanks go to two very lovely ladies for providing invaluable guidance: Isis Barom told me about two excellent Egyptian couture stores named Wish and Marees, and tipped me off to the new Valley of Kings sim. The very sweet and helpful Luralie Bailey, Miss Egypt 2011 gave me advice on skin, hair, and makeup. All remaining images are from two very talented Koinup friends, La Baroque, and LookatmyBack, with my sincere appreciation! ~ by Stacia Villota / Virtual Neko on June 16, 2011. I need to point out a link Mistake here – You link Dream Resistance’s “Cleopatra” outfit to my blog, instead of hers. While I am an Egyptian Designer and have done some historical costumes of my own; it’s not fair to either of us to ping back to my blog for her work. Wow! ^_^ Excellent review and detailed informations, so complete and interesting! Which kind of secrets still lie into the tomb? How many whispers will surround the visitors ears attempting to tell about forgotten stories, thoughts which have been lost in time, immortal loves which have thrilled untamed hearts and lethal fights, struggles and wars? All of this still lives inside those colors and figures over the walls, and the past, through those hieroglyphs in its sandy and golden voice, keeps talking to the careful listeners coming from another time. 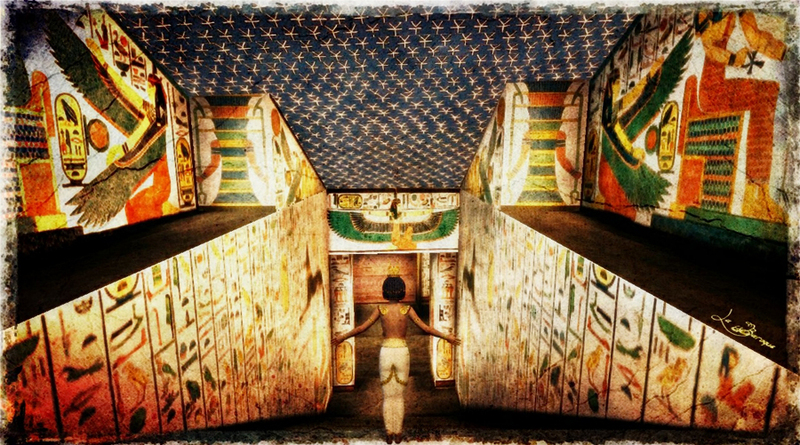 Nefertari’s tomb is very well done! Congratulations (and I am an Egyptologist so very picky) *grins*. A beautiful world.